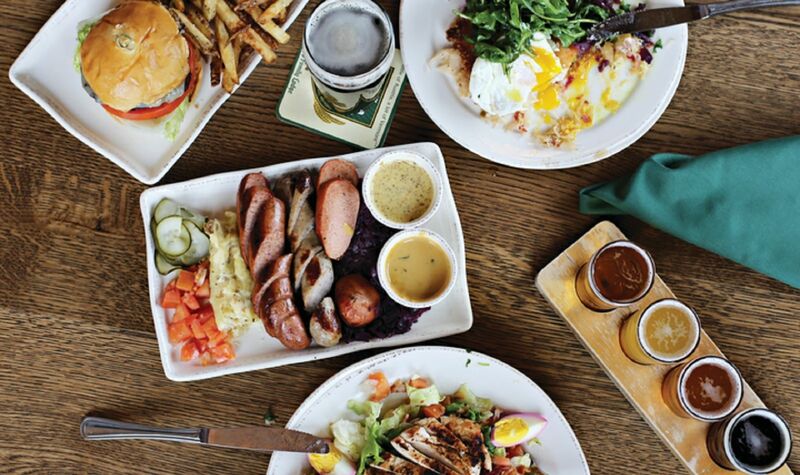 Located on the grounds of Trapp Family Lodge, the von Trapp Brewing Bierhall Restaurant is conveniently situated on the cross-country ski and mountain bike trails. The Bierhall is a gathering place for friends to enjoy “a little of Austria, a lot of Vermont,” serving fresh lager beers and a selection of freshly prepared Austrian lunch and dinner selections. Many of the menu items are prepared on the wood-fired Parrilla grill that is the showcase feature of the Bierhall. Start and finish your mountain bike ride or cross-country ski at the Bierhall Restaurant, and shop the well-appointed gift shop.